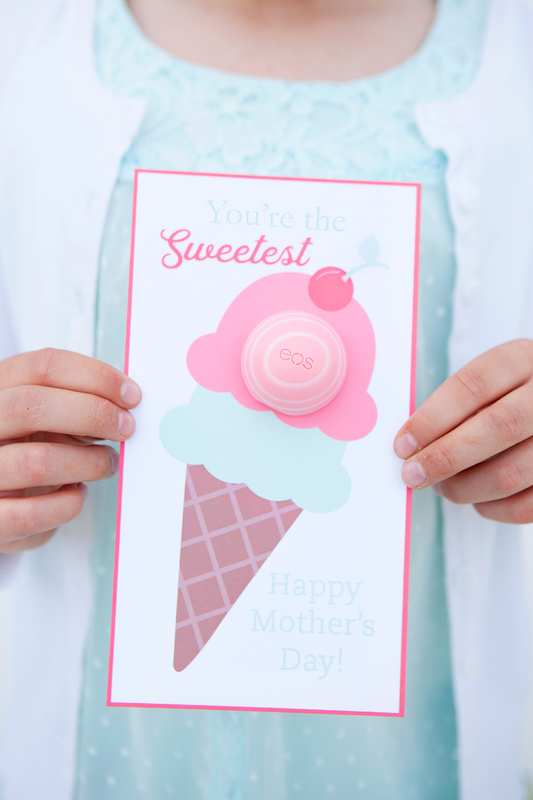 Eos® Lip Balm Mother’s Day Cards – Mother’s Day will be here before you know it! 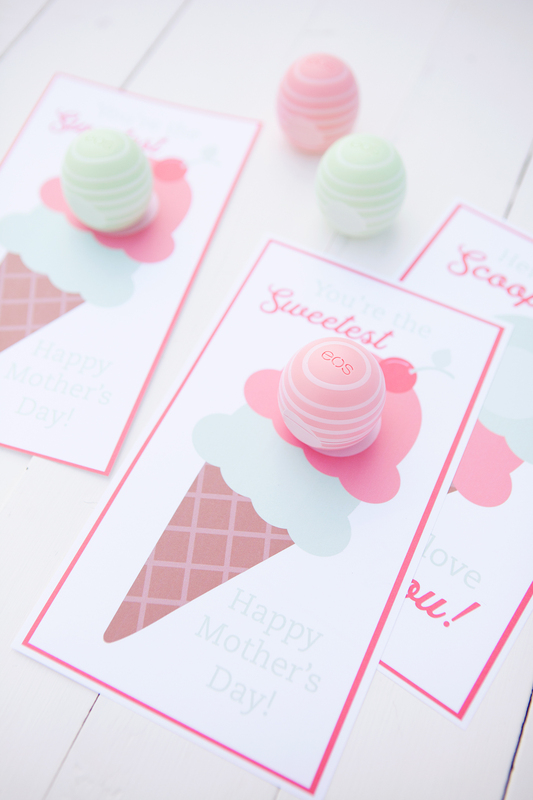 Celebrate the special mom in your life with a simple card and her favorite eos® lip balm! It’s the little things that mean a lot and letting mom know how much you love and appreciate her on Mother’s Day is simple with these printable cards. It’s not about how much it costs, it’s about taking the time to tell her how much you appreciate all she does! 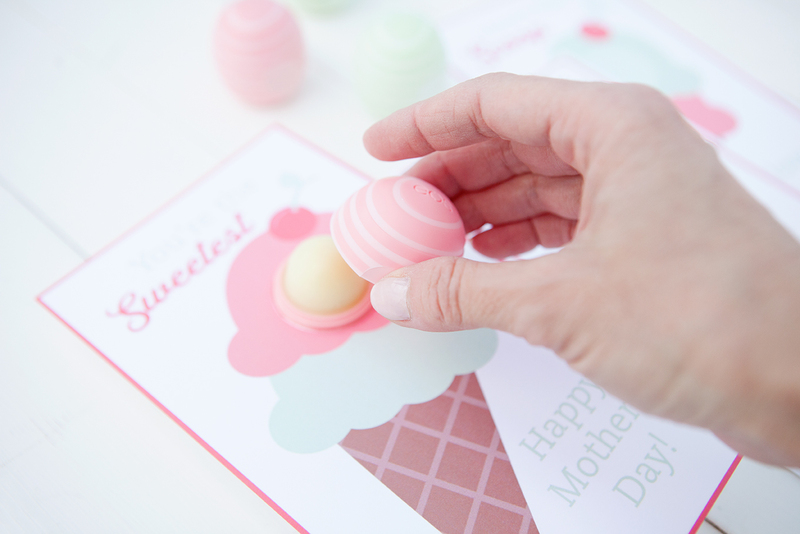 Putting together something handmade, even something as simple as these cards, is always a hit with Mom! 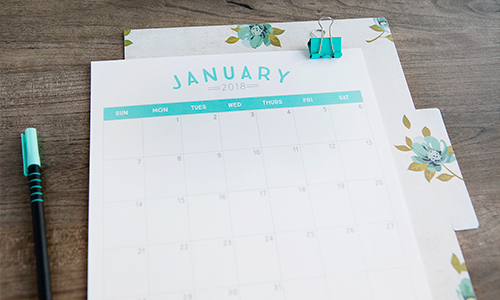 All you need to do is print, cut, assemble and you’ve got a special gift that Mom will love. 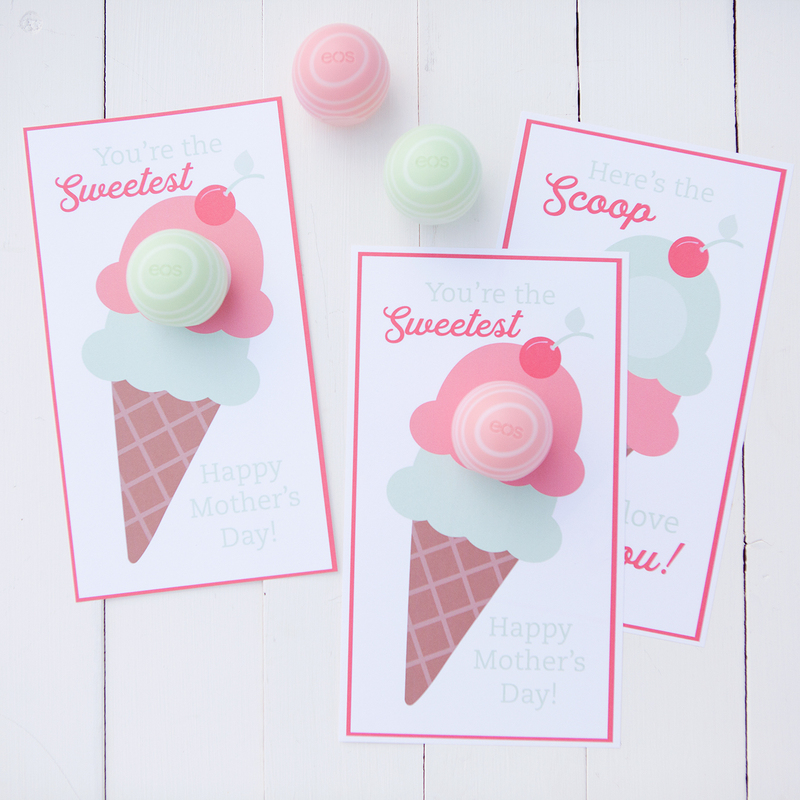 These cards can be made in bulk with a group of kids to give to their Mothers for Mother’s Day. With a little bit of adult help with the cutting the kids can assemble them, no problem! 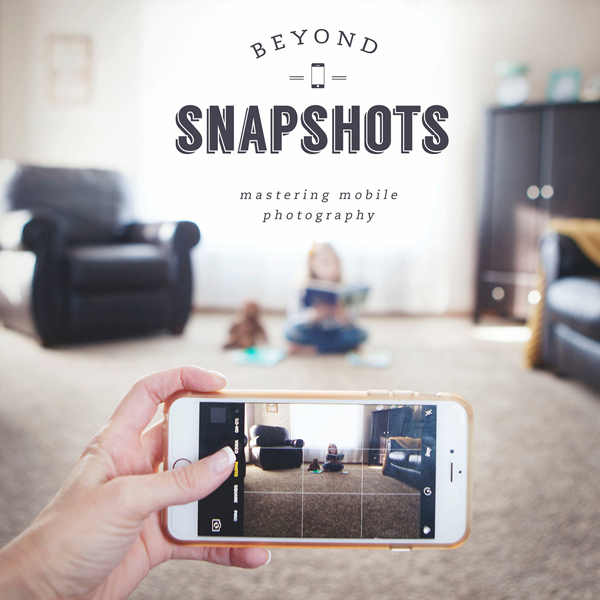 Click here to download eos® Mother’s Day Cards here and print. Cut out the circle that is marked in the center of the ice cream cone using an x-acto knife. 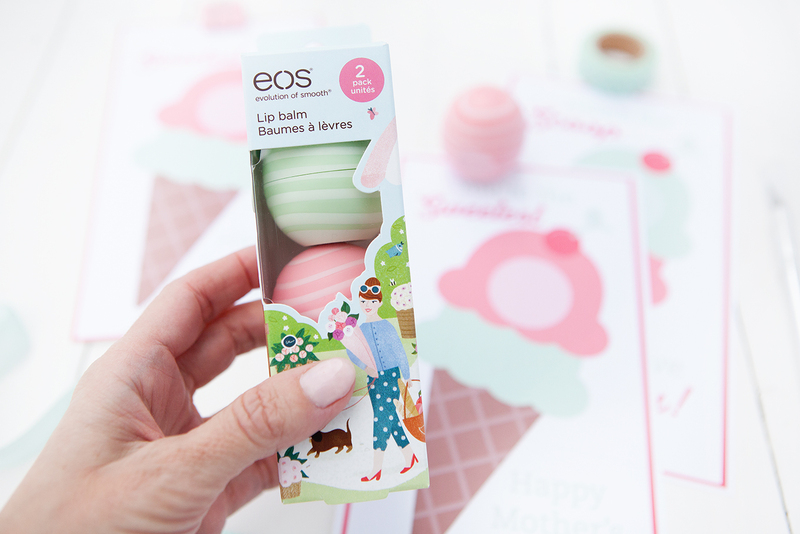 Open eos® lip balm and place the lip balm through the hole. Secure the lid of the lip balm. Give this simple gift to Mom and let her know how sweet she is to you! 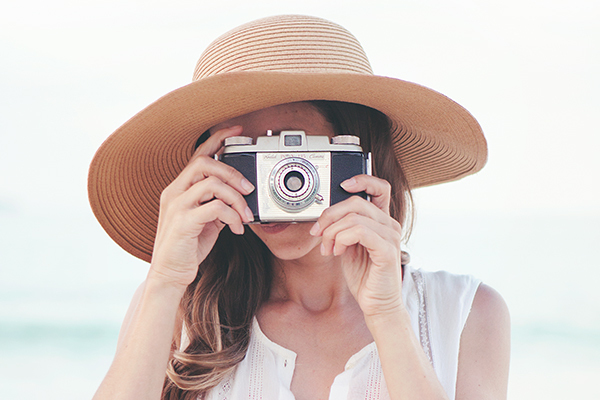 Eos® makes effective beauty products, including natural lip care products, that are designed to bring delight and style to daily routines. We combine premium ingredients with beautiful colors, invigorating scents, and delicious flavors. 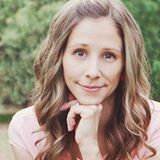 Our natural lip balm, hand and body lotion, and shave cream products are hypoallergenic, dermatologist tested, gluten-free, and packed with nourishing vitamins and natural skin-conditioning oils. This is adorable! 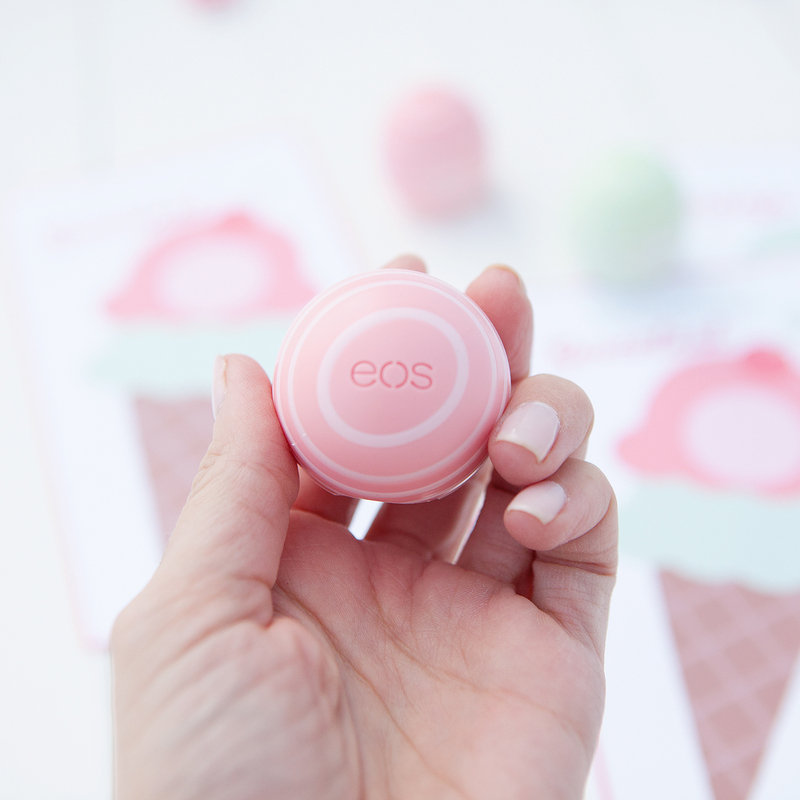 We don’t sell EOS lip balms in stores here in England, but since trying them while I was in America I’ve made sure to order them each time on Amazon so I always have a supply! I hope you have a marvellous Thursday! My mom loves ice cream-this is perfect!